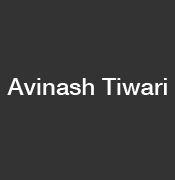 Profile of the victim : Avinash Tiwari was in love with Usha, the daughter of an MLA from Khijri constituency in Ranchy, Jharkhand. Date of Murder : 26th April 2011. Assassination : Tiwari went missing under mysterious circumstances April 26. His body was found in Karra of Khuti district earlier this month. The victim’s father Sanjay Tiwari alleged that Lakra abducted and tortured his son because he wanted to marry his daughter Usha Lakra. Usha admitted to the police that she knew Tiwari, but Lakra denied he had anything to do with the case. However, the legislator’s bodyguard told the police that Lakra had ordered Tiwari’s killing. Lakra’s servant also said that Tiwari was killed at legislator’s farmhouse.